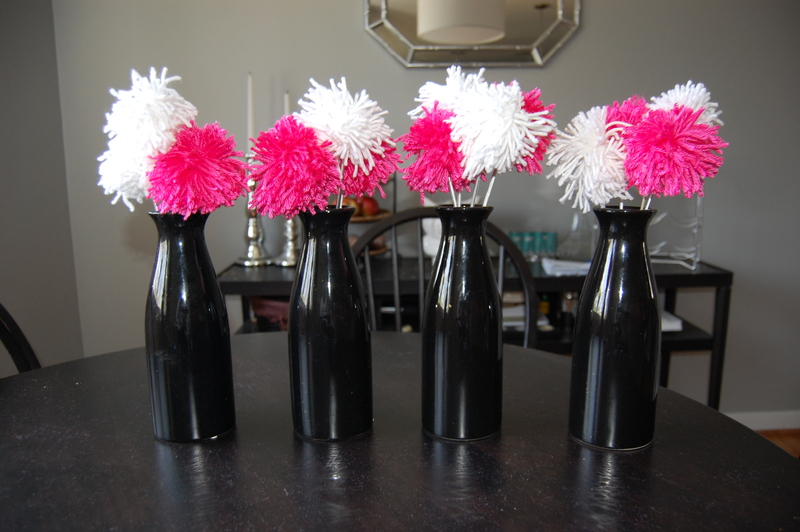 Posh Project: Yarn Pom Poms! Have an event coming up? Looking for a cute and simple centerpiece idea? 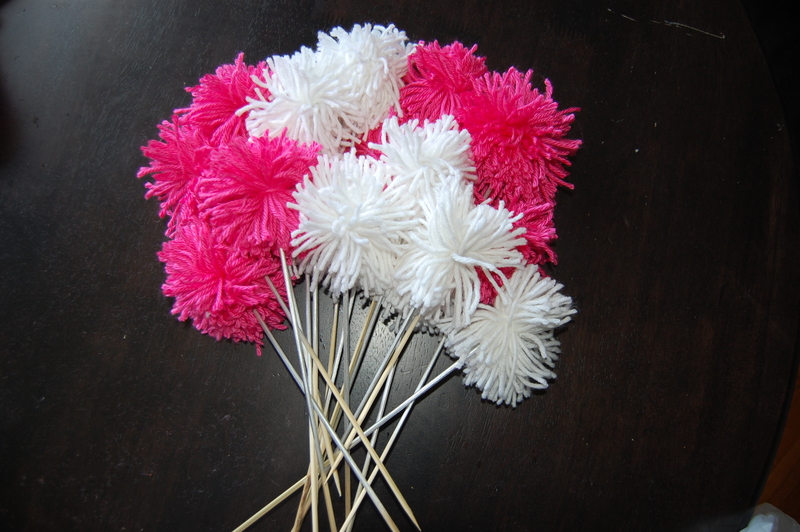 In light of the blossoming of spring, these pom poms remind me of a bouquet of flowers. Such a fresh and girly touch without having to spend money on expensive flowers. It also adds a nice texture to any tablescape. I’m doing these for my sister’s baby shower this weekend (Congrats Altamese and KeVon!). 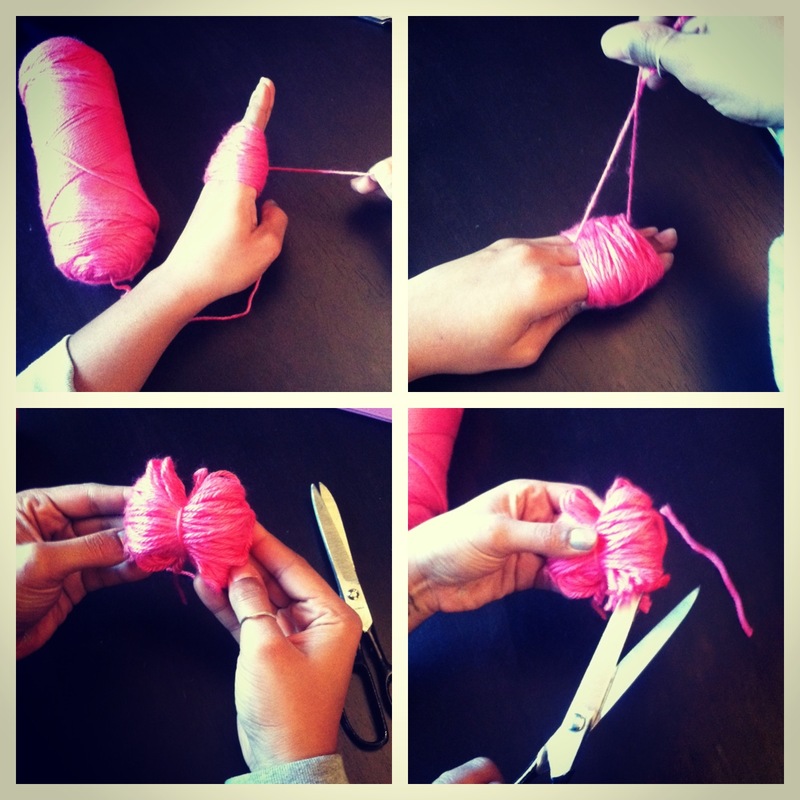 I made twelve and it took about two hours (with interruptions from Zoe) LOL Moving on..
First: Wrap yarn around your fingers. 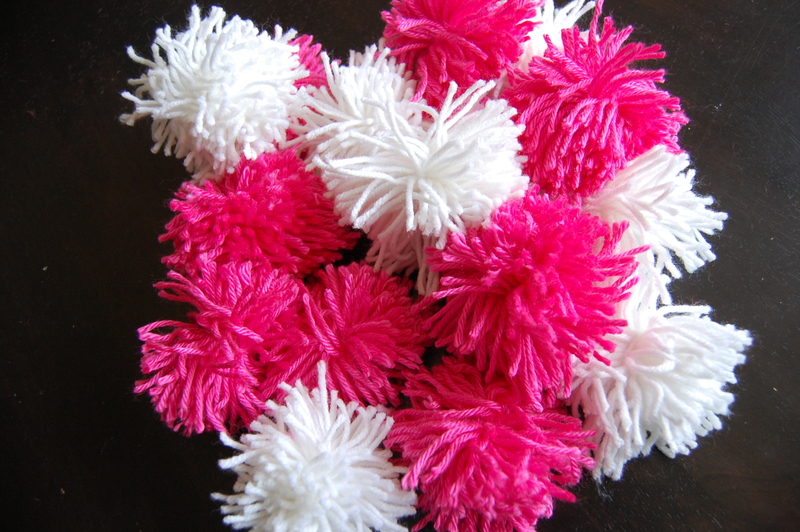 I used four fingers because I wanted a larger pom pom. Second: Cut the yarn from the spool and cut another piece that is about 6 inches long and thread that piece of yarn through your middle and index fingers (top and bottom) and PULL TIGHT! Four: Now get your scissors to cut all the loops. Once you do that, fluff it out! * a nice trim may be needed to even out the shape but I didn’t mind the shaggy look. Fifth: Spray paint your sticks (whatever color you choose) and let dry. 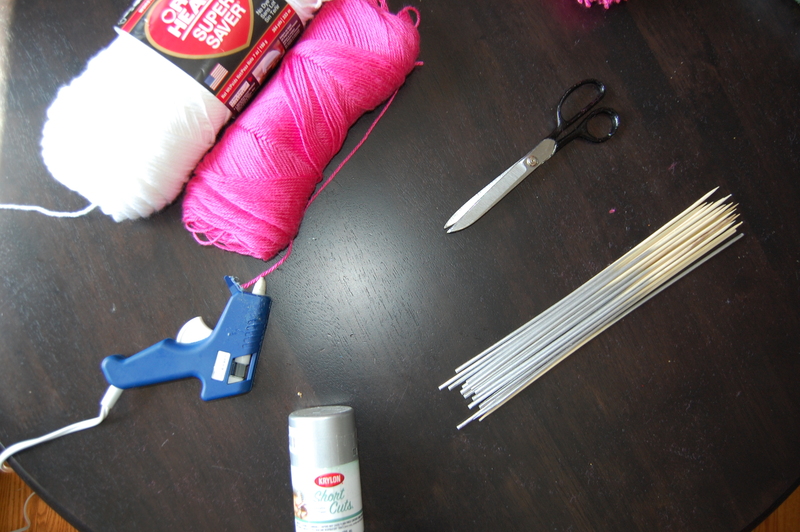 Sixth: Hot glue the pom pom to the stick and Whaaaa-laaa! You have a Yarn Pom Pom! AHHHHH! Cute right? 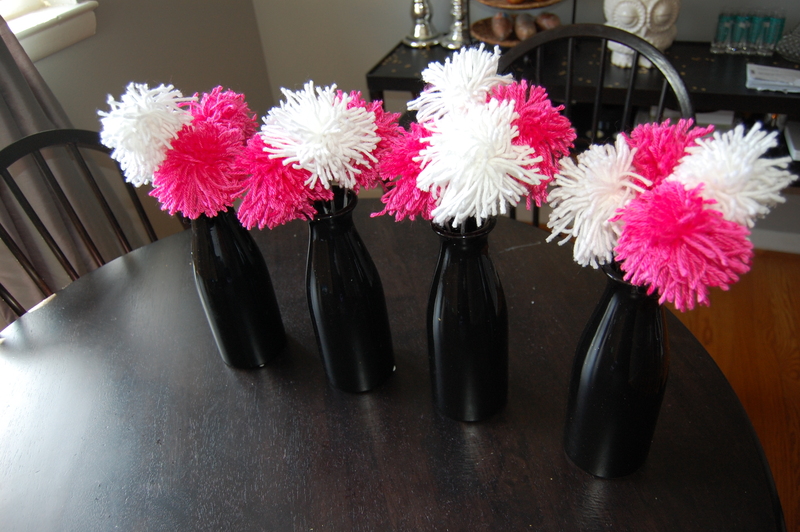 My mind is running with so many ideas with other ways the Pom Poms can be used for decor! ← Posh Poll: Do you agree with “Gentle Parenting” approach?